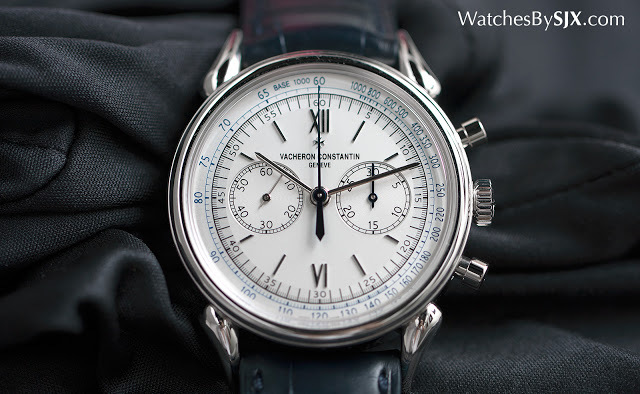 Vacheron Constantin has had a good years with its chronographs, most notably with the new calibre 3300 in the Harmony Chronograph. 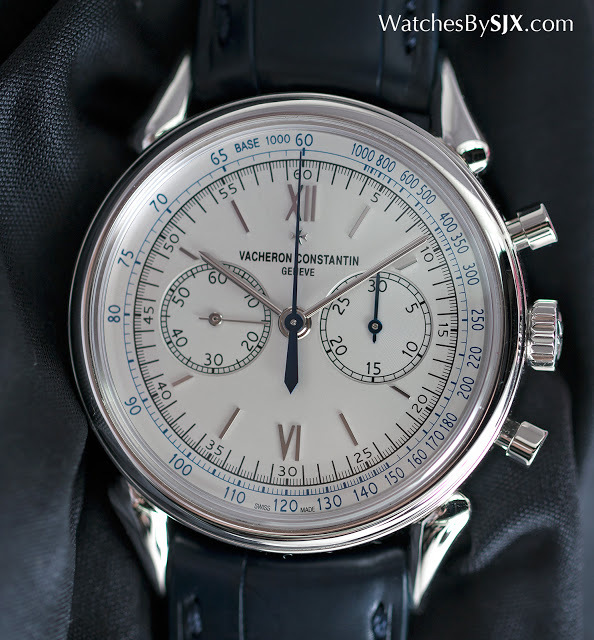 But traditionalists will probably appreciate the Historiques Cornes de Vache 1955 Chronograph a little more, since it’s essentially a replica of a rare vintage timepiece. And the Cornes de Vache is also equipped with a movement that is essentially decades old, but one that has been heavily upgraded. Cornes de Vache translates as “cow horns”, a name derived from the pointed lugs. The original “Cornes de Vache” was the reference 6087, a rare model introduced in 1955 and produced until the mid-1960s. According to official Vacheron Constantin forum The Hour Lounge, only 36 were made, with 26 in yellow gold, eight in pink gold, as well as a pair in platinum that did not have cow horn lugs. 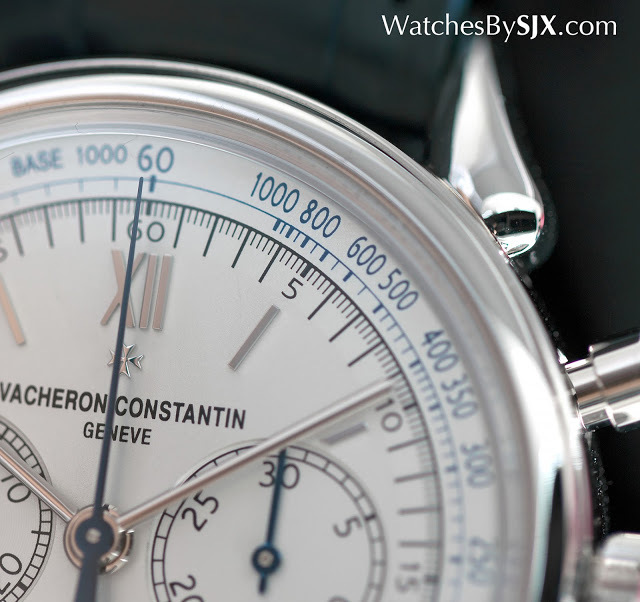 After the reference 6087 was discontinued, Vacheron Constantin did not produce any more chronographs – until 1989. The recently introduced remake is, like most other reproductions, an enlarged version of the original. 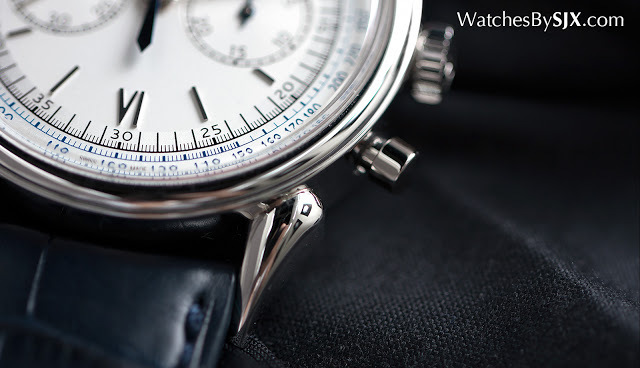 Measuring 38.5mm in diameter, the platinum case is sizeable larger than the 35mm original, but nonetheless moderately sized by today’s standards. But because it’s platinum it is reassuringly weighty. 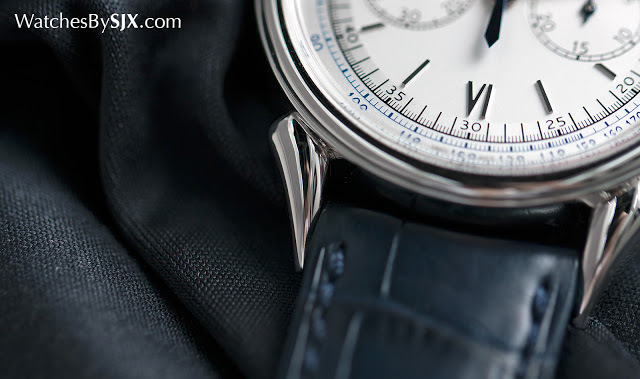 The dial is sedate – silvered with a blue tachymetre scale. 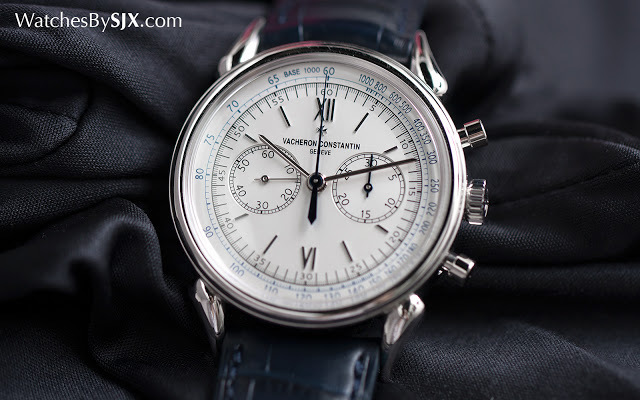 That’s matched with the chronograph hands in blued steel. All the hour markers are applied. Put simply, the dial is uncontroversial. But the lugs are special. Long, curved and tapering to a sharp tip, the lugs make the watch. They are the only element of the entirely design that is unconventional. And the size of the lugs give the watch presence. On the topic of design, Vacheron Constantin deserves praise for successfully enlarging the watch while retaining attractive proportions. 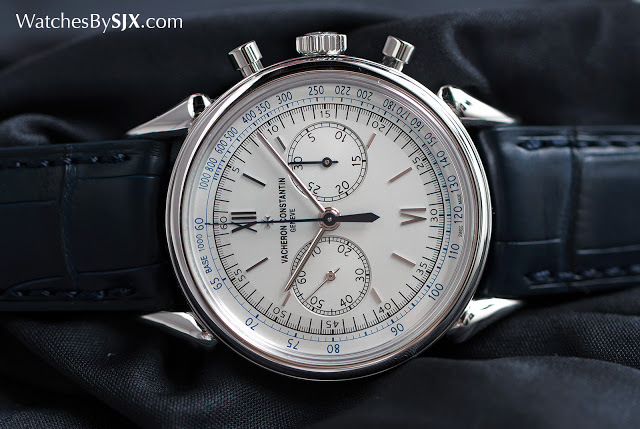 That is often lost in modern chronograph watches that use movements designed decades ago. 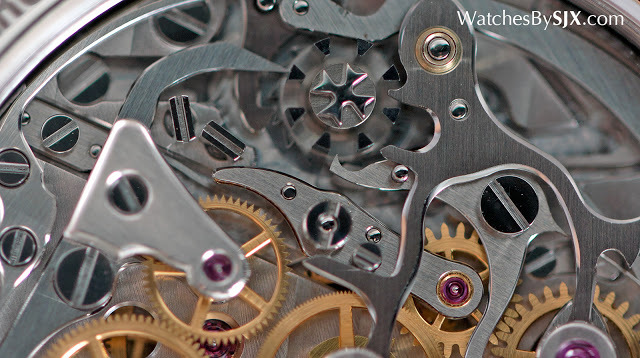 Old movements are mostly small, while today’s watches are big. Consequently chronograph sub-dials tend to appear jammed in the centre of a dial, with lots of space on the extreme sides of the sub-dials. Despite using a small (and old) movement, the Historiques Cornes de Vache 1955 avoids this with two features. 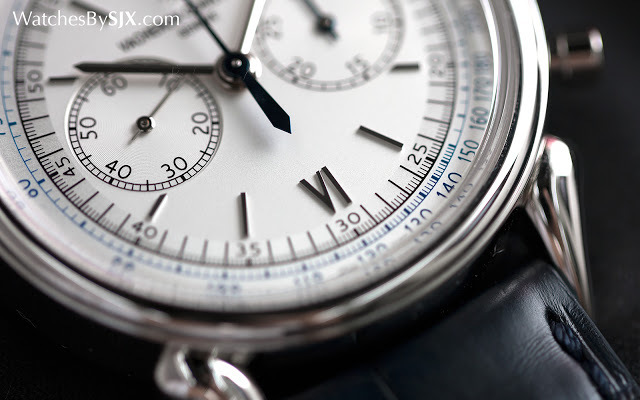 One is putting distinct gap between the hands and the edge of the chronograph registers. And the other is a prominent minute track with long hashmarks as well as a wide tachymetric scale, which together occupy the space on the outer edge of the dial. The Historiques Cornes de Vache 1955 is one of the first watches fitted with the calibre 1142. 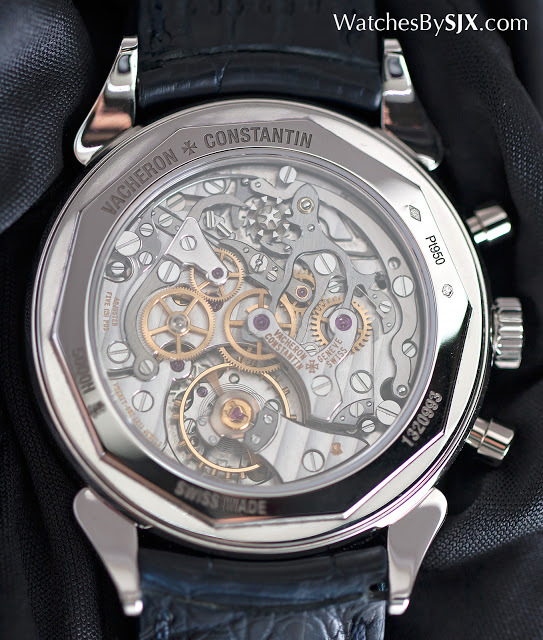 An upgraded version of the calibre 1141 (found in the Patrimony Traditionelle Chronograph), the movement is at heart Lemania 2310 (a close relation of the calibre 321 in early Omega Speedmaster Moonwatches). 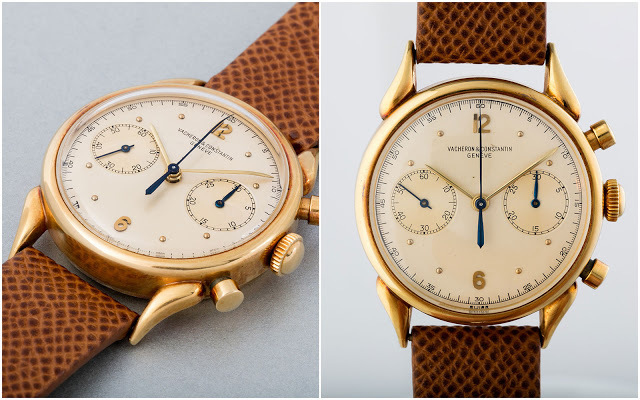 Once the standard movement in high-end chronographs by the likes of Patek Philippe in the references 3970, 5070 and 5970 – before most watchmakers developed their own proprietary movements – the 2310 is decades old, having been introduced in the 1940s. But the 1142 is a major evolution of the original Lemania calibre. To start with it is made by Vacheron Constantin, since Lemania (now integrated into Breguet), no longer supplies movements to third parties. 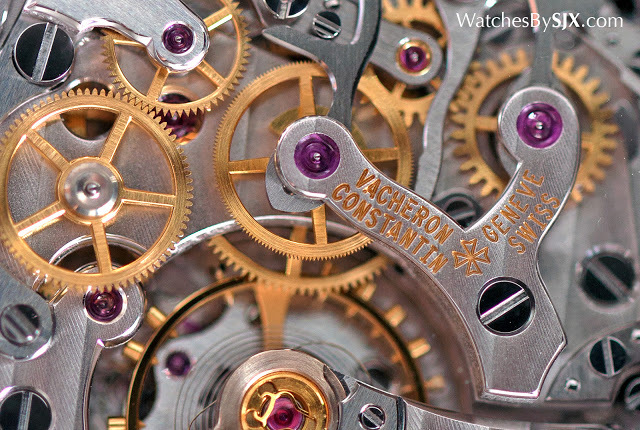 The rights to make the movements came to Vacheron Constantin via Roger Dubuis, which acquired the license in the early 2000s. Richemont took over Roger Dubuis in 2008, leading to the calibre 1142. Many things have been improved in the 1142, most of which are difficult to discern but functionally important. 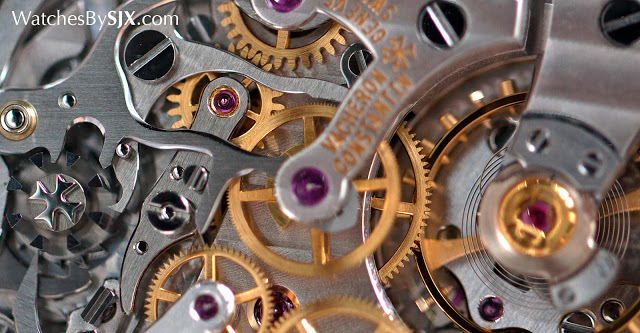 They include the shape of the chronograph levers, tension springs and even the teeth on some gears. One upgrade that is immediately visible but purely aesthetic is the Maltese Cross on top of the column wheel. A major and obvious improvement is the free-sprung balance with a Breguet overcoil, a feature expected in high-end movements. And the finishing has also improved. Not just in the decoration itself, but some of the bridges have more complex forms, requiring more finishing. One example is the Y-shaped chronograph bridge that now has a pointed base instead of a flat one. Though not a numbered limited edition, the Cornes de Vache 1955 will be made in small numbers for a fixed period, after which there will be no more made in platinum. It would not be surprising though, if a new version is introduced in another metal next year or in 2017. The Cornes de Vache 1955 comes at a stiff price of €62,000 before taxes, or S$105,800 including 7% tax.